Jan. 21, 2019. Newcastle disease is a highly contagious viral and fatal disease affecting chickens and other poultry. "The disease is so virulent that many birds and poultry die without showing any clinical signs. A death rate of almost 100 percent can occur in unvaccinated poultry flocks. Virulent Newcastle disease can infect and cause death even in vaccinated poultry" (USDA, 2019). One Newcastle disease outbreak in California started with backyard showbirds in May 2018 and was thought to be contained by November is currently spreading through chicken flocks in four counties in Southern California (Los Angeles, Riverside, San Bernardino and Ventura). In December, the disease had spread to another neighborhood which was added to the list, then two commercial poultry operations were found with Newcastle disease early in January. ​The Riverside County Fair and National Date Festival normally held between Feb. 15-24 have cancelled its poultry competition primarily due to State Veterinarian Annette Jones, who issued a recommendation which said poultry shows that have birds from the affected counties should be cancelled. "To date, about 66,000 show birds and 430,000 commercial birds have been euthanized, according to the California Department of Food and Agriculture. “No human cases of Newcastle disease have ever occurred from eating poultry products,” according to the U.S. Department of Agriculture website. “Properly cooked poultry products are safe to eat. “In very rare instances, people working directly with sick birds can become infected. Symptoms are usually very mild and limited to conjunctivitis and/or influenza-like symptoms....Areas now under mandatory euthanasia orders are: Compton in Los Angeles County, Muscoy in San Bernardino County, the Mira Loma area of Jurupa Valley in Riverside County, with Perris in Riverside County added in December. The names and exact locations of the commercial operations were not released by the USDA, although the first commercial case coincided with the addition of Perris to the list....The USDA recommends bird owners avoid visits to other bird owners or poultry farms during an outbreak. Those who do make visits should change clothes and clean their hands and shoes before entering their own bird area. "WASHINGTON, January 18, 2019 - The United States Department of Agriculture’s (USDA) Animal and Plant Health Inspection Service (APHIS) confirmed the presence of virulent Newcastle disease in a small flock of backyard exhibition chickens in Utah County, Utah. This is the first case of virulent Newcastle disease in Utah. 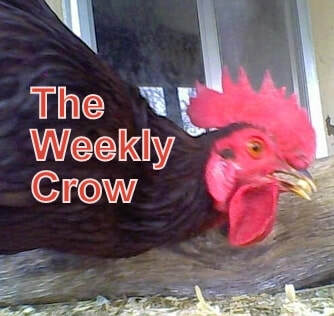 This case is believed to be connected to the current outbreak of virulent Newcastle disease in California, as three of the birds at the premises were recently moved to Utah from Los Angeles County, California. Since May 2018". ""It is essential that all bird owners follow good biosecurity practices to help protect their birds from infectious diseases. These include simple steps like washing hands and scrubbing boots before and after entering a poultry area; cleaning and disinfecting tires and equipment before moving them off the property; and isolating any birds returning from shows for 30 days before placing them with the rest of the flock. In addition to practicing good biosecurity, all bird owners should report sick birds or unusual bird deaths to their veterinarian or to State veterinary officials. Additional information on biosecurity for all poultry flocks can be found at www.aphis.usda.gov/animalhealth/defendtheflock.